Precise Hire provides pre-employment screening solutions for businesses of all sizes. Its services include legal and criminal records check, personal and educational verifications, industry-specific sanctions search, and more. Ready to try Precise Hire? Request for a free demo. As of the date this article was written (10/30/18), there are no recent user reviews of Precise Hire online. If you are a past or current Precise Hire customer, leave a review to help other small business owners who are deciding whether or not to use the company. Precise Hire offers three customizable packages: Premier (starts at $19.95/applicant), Premium (starts at $39.95/applicant), and Platinum (starts at $69.95/applicant). The main differences between the plans are the number and the type of search included such as nationwide criminal database search and education verification. There are additional undisclosed fees on top of the pricing options. The prices above are sample figures provided by the company on their website. Interested users need to get in touch with the sales team to request for a customized quote specific to their background search requirements. Ready to try Precise Hire? Request for a free demo. What is the turnaround time for the background search? The company didn’t provide specific details on the speed of their screening process. However, they claim that most of their searches allow customers to make same-day hiring decisions. There are no startup fees and accounts can be set up in minutes. One account can also have multiple users. Does Precise Hire offer a free trial? Not sure if Precise Hire is the right fit for you? 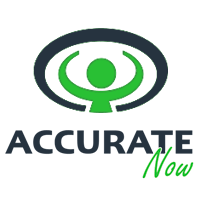 Read our reviews of all top background check providers or check out one of these three Precise Hire alternatives.